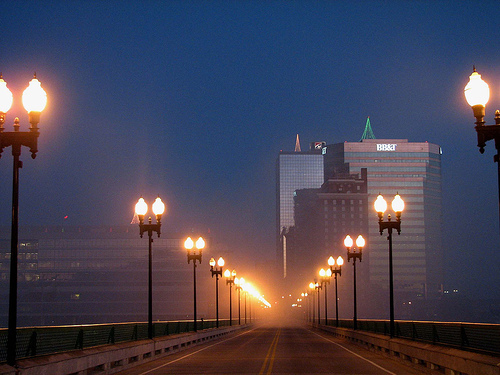 Knoxville, Tennessee is the third largest city in the state, behind Nashville and Memphis, with about 180,00 residents. Its nickname is the Marble City. It went under a suburbanization era, but the downtown area has been redeveloped in recent years. It has an arts community with a fair amount of activities going on throughout the year. There are a couple nice dog parks in Knoxville, as well as some restaurants and outdoor areas for humans and their pet dogs to check out. 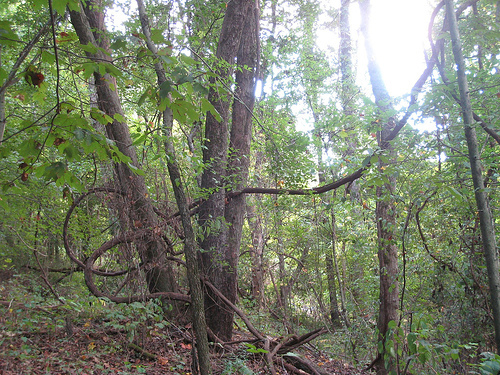 Ijams Nature Center is a wildlife sanctuary and environmental learning center that takes up 275 acres. There are lots of beautiful trails to explore, as well as a lake, rocky bluffs and assorted wildlife to observe. Leashed dogs can enjoy the outdoor areas, but are not allowed in any of the buildings. This 35-acre historic site is the former home of Governor John Sevier, who was a frontiersman, soldier and politician in the mid 18th through early 19th century. The log cabin has been carefully restored, and the site is a popular tourist attraction. 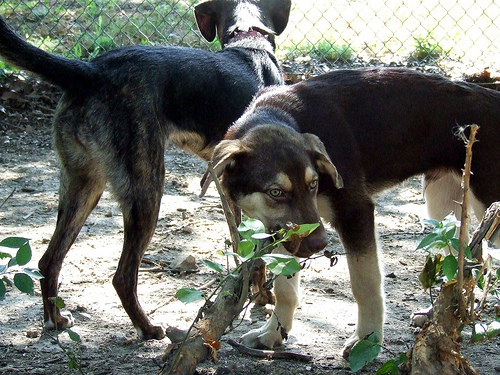 Leashed dogs can go around the grounds but not in the buildings. This is an off-leash dog park that is one acre of fenced-in space, with a puppy playground, inclined hill, tunnel, jump, dog water fountain, benches and garbage facilities. PetSafe Village, a pet boarding and grooming business, has a one-acre dog park. It is complete with a natural pond, agility equipment, benches, picnic tables, trails and a dog water fountain. It is an on-leash park that sometimes has off-leash hours. The Tomato Head started as a French Bistro, and now serves pizzas, sandwiches, quesadillas, salads and children’s food. Leashed dogs can sit at the outdoor tables. The Downtown Grill & Brewery is located in a historic area, and they serve assorted beers and meat dishes. Leashed dogs can sit at the outdoor tables. Pelancho’s is a Mexican restaurant that serves steaks, seafood and vegetarian options, as well as beer, wine and margaritas. Dogs on leash can join you at the patio. This restaurant is in the Old City area, and has lots of craft beers. Leashed dogs are allowed at the outer tables.